Log in and navigate to the referral page. Provide your friend’s details, including the email address they’d like to receive the referral message. Choose the charity that you’d like to contribute towards. Currently you can select from Age UK, British Heart Foundation, Cancer Research, Carers Trust, Diabetes UK, Mind, National Rheumatoid Arthritis Society or Parkinsons UK. Give your friend your email address and permission to use it. Follow the unique referral link inside the email. Sign up for a new account and place your first prescription order. This one’s a little different! 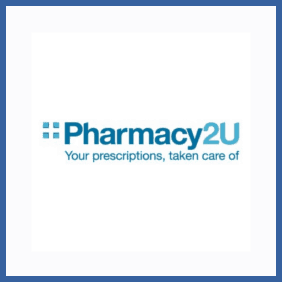 Refer a friend to online prescription company Pharmacy2u and they’ll donate £10 to a charity of your choice once your friend has ordered their first prescription via the website.